Schelchshorn will be at the center of any future bids to cut costs at Seat via layoffs. Volkswagen has named Josef Schelchshorn to lead human resources at the money-losing Spanish subsidiary Seat. VW is shaking up Seat's leadership to boost sales and stop the unit's financial losses. When he starts on Sept. 1, Schelchshorn will be the fourth new member to join the seven-position Seat board since September 2009. Schelchshorn, 49, will replace Ramon Paredes Sanchez-Collado, 54, who will become the executive committee member responsible for Seat and Volkswagen Group's government relations in Spain. Seat is VW Group's biggest money loser. The brand reported a first-quarter operating loss of 110 million euros ($142 million), which was more than double the operating losses at VW's two other unprofitable units, Bentley (-36 million euros) and commercial vehicles (-16 million euros). Speaking in May about the current plan to fix the automaker, Seat CEO James Muir said: "This is the last attempt for Seat as a brand. If one would want to get rid of Seat, one would have to give the other party money to take it." VW picked Muir, Mazda Motor Corp.'s former European head, to lead Seat last September. He replaced Erich Schmitt, who failed in his three-year attempt to turn around Seat. Since April, Seat has named a new board member in charge of purchasing, Dieter Seemann, a new board member in charge of finance, Holger Kintscher, and has given Muir responsibilities held by the former board member for sales and marketing, Jan-Henrik Lafrentz, who is now head of finance at VW ultra-luxury brand Bentley. German media reports this week indicate that Muir's job is at risk. One reason is that soon after starting he clashed with VW's powerful labor unions in Spain and Germany when he tried to lay off 300 workers. As head of human resources, Schelchshorn will be at the center of any future bids to cut costs via layoffs. 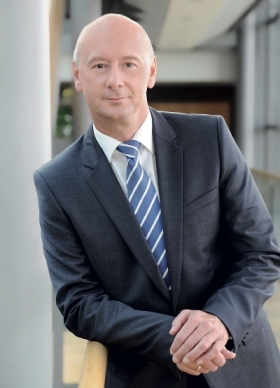 Schelchshorn will come to Seat from Germany, where he has been head of human resources at VW luxury brand Audi's operations in Ingolstadt since March 2003. Since 1993, Schelchshorn, who has a degree in economics, has held a number of high-ranking human resources jobs at Audi's Ingolstadt headquarters and at the automaker's car- and engine-assembly operations in Gyor, Hungary. Sanchez-Collado, who has a degree in engineering, joined Seat in 1971. He has worked in tool maintenance and managed small and large presses at Seat. He headed the automaker's press shop in Matorell from 1992 to 2001 before being given responsibility for assembly at the plant. He has been Seat's executive vice president of human resources since November 2003.